“Ideas cannot be killed,” Sarrria emphatically said. Sarrria was the black lieutenant, a patrol leader in Batista’s army who arrested us, after the attempt to seize the Moncada Garrison, while three of us slept in a small mountain hut, exhausted by the effort of breaking through the siege. The soldiers, fuelled by hatred and adrenalin, were aiming their weapons at me even before they had identified who I was. “Ideas cannot be killed,” the black lieutenant kept repeating, practically automatically and in a hushed voice. I dedicate those excellent words to you, Mr. Bush.” Castro wrote. True, Ideas cannot be killed. As the cliche goes Ideas can be defeated only by greater or better ideas. Another truism is no force can stop an idea whose time has come. Cliches and truisms may be repetitive and boring but they do represent powerful wordly wisdom! 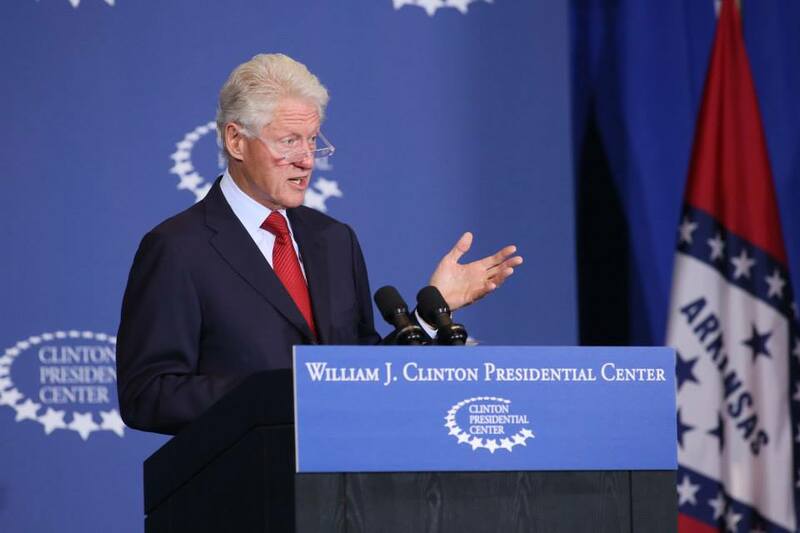 It was perhaps the merit in what is called the federal idea which prompted Bill Clinton to observe ” maybe the federal idea isn’t such a bad idea after all” . This was in 1999 when he was the most powerful man on earth.It was at the end of the conference on federalism at Mont Tremblant in Quebec that Clinton made this remark. Incidently Prof. Gamini Lakshman Peiris also addressed this path – breaking conclave organized by the Forum of Federations based in Ottawa. What then is this “federal idea” ? It is in one sense a concept that embodies various related things like federalism, federal systems , federations and federalist etc. This is a world where the word “federal” has become almost the “F – word” in politics. Different countries and different entities for different reasons frown on this “F – word”. Therefore “federal idea” has become an indirect reference to this F – word. If a ” rose by any other name could smell as sweet” then the “federalism ” word too can be sanitised and discussed as the “federal idea”. Let me quote Canada’s Bob Rae, former Ontario premier and ex – president of the forum of federations on this. In his foreword to the “handbook of Federal Countries” published by the forum Rae has this to say – “There has been a profound resurgence in interest in the federal idea in the last decade. I choose the phrase “federal idea” because the “ism” in federalism has a way of limiting debate and understanding”. In Spain the central government doesn’t like to use the “federal” word as it seems to indicate erosion of sovereign authority. Ironically Catalonians in Spain also frown on this because in their perception “federalism is not enough to articulate the unique Catalonian identity and right of self – government. In South Africa the earlier “apartheid” regime set up some federal structures to contain and diffuse pan – african yearning for freedom. So Federalism became a dirty word to the blacks. When the African national congress attained power with its vision of “one South Africa” the ANC did not want to describe the new Constitution as “federalist”. Sri Lankans are well aware of what Rae meant. In Lanka’s deeply polarised society federalism is certainly the “F – word” and worse. At one end there are the “unitarists” who are adamant that the unitary structure of the state should not be changed. At the other end are the “separatists” who want the Island to become home to two states. In between are those who want a compromise based on principles of power – sharing. This middle ground is shrinking rapidly as war escalates. There is marked reluctance and trepidation on the part of many to espouse federalism openly. This is sad but quite understandable in a situation where “federalism” is seen as betrayal by both sides. One sees it as a conspiracy to break up the nation while the other views it as a ruse to stymie the quest for total independence. While Sri Lankans on both sides of the ethnic divide look on federalism with suspicion and embroil themselves in debilitatingly destructive conflict the rest of the world is in ferment over the federal idea. There was a time when federalism was seen as the ideal remedy for many of the world’s political maladies. It was perceived as the universal device to achieve unity in diversity. Experience has shown that this is not necessarily true in all situations. At the same time federal arrangements have certainly helped wield cohesiveness in many cases. Twenty – Five Countries today have federal and / or quasi – federal structures. These range from the sole superpower USA to tiny St. Kitts and Nevis; from Canada in the north to Micronesia in the south; from India in the east to Switzerland in the west. The population in these countries together amounts to more than 40% of the world’s total humanity. In addition there are some countries that are not federal but have special administrative arrangements amounting to de – facto quasi – federalism. Let us proceed alphabetically . Argentina, Australia,Austria,Belgium, Bosnia and Herzegovina, Brazil, Canada, Comoros, Ethiopia,Germany,India,Malaysia,Mexico, The federated states of Micronesia, Nigeria, Pakistan, Russia, St. Kitts and Nevis, South Africa, Spain, Switzerland, United Arab Emirates,United States of America, Venezeula are the Federal countries. While most are explicitly federal a few like Spain are not, but in actuality are federal in all but name. Though federal none of these countries share the exactly same system.Each country has different administrative arrangements and internal structures.They also vary greatly in size. Russia has republics and many types of regions within: India has states and union territories; Switzerland has cantons while Germany and Austria have landers. Belgium has three regions and three cultural communities while Spain has autonomous regions; the USA has states , federacies , local home rule territories ,unincorporated territories and native american domestic dependent nations:Canada has provinces , territories and aboriginal organizations. Venezeula has states,territories,federal dependencies,federal district and many Islands. Apart from federal and quasi – federal states there are also Countries having de – centralized unions with federal features.The United Kingdom comprising England, Scotland, Wales, Northern Ireland and five self – governing islands is the best – known example of this kind. Italy with 15 ordinary and 5 autonomous regions is another; Netherlands has 11 provinces and one associated state;J apan has 47 prefectures; Fiji Islands is a consociation of two ethnic communities; Colombia has 23 departments,4 intendencies and 3 commissaries. Ukraine has 24 oblasts,2 metropolitan areas and the autonomous republic of Crimea; The people’s republic of China has 22 provinces,5 autonomous regions,4 municipalities, and the special administrative regions of Hong Kong and Macao. Another phenomenon is that of Countries with federacies and associative states. Bhutan is an associative state of India. Nine and Cook Islands are associative states of New Zealand. Netherlands Antilles, San Marino, Liechenstein, Monaco are associative states of Netherlands, Italy . Switzerland and France respectively. Puerto Rico and Northern Marianas are federacies of the USA. Madeira and Azores Islands are Portugese federacies.Likewise Greenland and Faroe Islands are Danish federacies.Britain has the federacies of Jersey, Guernsey and the Isle of Man. Aaland Islands is a Federacy of Finland. It could be seen therefore that the federal idea is not restricted to categorical federal or quasi – federal states alone. The federal idea is a free spirit permeating the body politic of many states. There is no “mono – principle” here. Each country has fashioned its own unique arrangement to suit its needs. Apart from administrative convenience and the imperative to provide citizens with the best form of government these Countries have also taken into account diversity of peoples, regional variety and imbalances, historic and geographic necessity etc as criteria to evolve systems of governance. There has been no rigorous dogma stifling aspirations of constituent peoples. The federal idea has assumed a new importance and related vigour in recent times.There are a number of reasons for this Ronald Watts of Institute of Intergovernmental relations at the Queens university in Kingston, Canada is the author of “comparing federal systems”. An excerpt from that explains this global trend. ” Modern developments in transportation, social communications, technology, and industrial organization have produced pressures at one and the same time for larger political organizations and for smaller ones..The pressure for larger political units has been generated by the goals shared by most western and non – western societies today; a desire for progress,a rising standard of living,social justice and influence in the world arena, and by a growing awareness of world – wide inter- dependence in an era whose advanced technology makes both mass destruction and mass – construction possible. The desire for smaller self – governing political units has risen from the desire to make governments more responsive to the individual citizen and to give expression to primary group attachments – linguistic and cultural ties , religious connections, historical traditions and social practices – which provide the distinctive basis for a community’s sense of identity and yearning for self – determination. Given these dual pressures, more and more peoples have come to see some form of federalism, combining a shared government for specified common purposes with autonomous action by constituent units of government for purposes related to maintaining their regional distinctiveness as allowing the closest institutional approximation to the multi – national reality of the contemporary world”. Watts sums up the essence of the federal idea. On the one hand there is the tendency to form larger entities including supra – national bodies like the European union. On the other there is the need to accommodate different intra – national aspirations of an ethnic nature. So Belgium reverts to federalism to satisfy the Flemish and the Walloons while Brussels is the seat of the EU parliament. The Union Jack flag may have the crosses of St. George, St. St.Andrew,St. David and St.Patrick but merry England cannot hold the United Kingdom together without devolving power to Scotland, Wales and Northern Ireland. The on going war (declared or undeclared) and its brutal ferocity has distorted current reality in Sri Lanka. The consequences have gone far beyond the original causes. But the conflict has its genesis in colonialism. Modern Ceylon as Sri Lanka was known then is a British creation. The Island was unified administratively but the people were divided politically through representation on communal lines. What was “united” to exploit was “divided” to govern. In the absence of adequate and equitable forms of power – sharing the Island is wracked with post – Independence conflict within pre – Independence boundaries. Sri Lankan Tamil nationalism is primarily reactive . The Tamils thought of themselves as being on par with the Sinhala people as co – founders of the modern nation of Ceylon. Universal franchise and territorial representation reduced them to a principal minority. The Tamils still thoughtof themselves as belonging to the Island in its entirety. So they wanted balanced representation and then adopted responsive cooperation as political strategies. When these failed came the Federal demand. Tamil self – perception now confined it to a regional minority. Even here the political leaders were prepared to compromise far short of federalism like regional councils, district councils etc. Finally came the desperate cry for separation and resultant armed struggle. Federalism if adopted at the appropriate time could have prevented the bloodshed and carnage. Federalism is proposed even now as the possible solution. The greatest achievement of the Norway brokered peace process was the agreement in Oslo to explore federalism But people are wary, pessimistic, hostile and dismissive. The proponents of federalism are perceived as traitors to their own ethnicity by hardliners on both sides. The vanishing tribe of moderates on the other hand react by describing the so called patriots as extremists and narrow nationalists. Whatever its merits or deficiencies federalism cannot be imposed on any people. The element of consent and mutual cooperation is essential for any system to work. If Sri Lanka is to become federal or quasi – federal or even have devolved powers within appropriate units in a unitary system the various segments of this nation have to work and live together as one country. For this a better understanding of the federal idea is required. The proponents of federalism argue that adopting it will strengthen unity and territorial integrity. Switzerland, India, Malaysia, Belgium, Germany, Spain etc are cited as examples. But it cannot be denied that federalism has failed to prevent secession too. The disintegration of Soviet Union and Yugoslavia are well – known examples. The Malaysia – Singapore and Pakistan – Bangladesh splits of the past as well as modern break – ups of Czech – Slovakia, Serbia and Montenegro are also lessons. In Canada, separatism flourished in Quebec despite federalism. Britain devolved power to Scotland and Wales but secessionism seems to have gained ground there. Nigerian federalism did not prevent the Biafran civil war.There are however many nuances to take into account when analysing the countries in question. Federalism therefore provides no “one size fits all” type of solution. Each Country has to examine and adopt arrangements conducive and suitable for individual needs. Sri Lanka too needs to explore the federal idea intensively and fully before deciding whether to accept or reject it or adopt it with appropriate innovation. The federal idea is dynamic and constantly evolving. What we in Sri Lanka need to do is to explore the federal idea and have an informed debate about its pros and cons and also on deciding whether we adopt or reject it. ” The resurgence of the federal idea has at its core many different causes. The vitality of the values of democracy, the revolutions in the politics of identity and human rights, the twin collapse of apartheid and bureaucratic communism, the impact of the technological revolution, the economic changes we associate with the word globalisation, all these have made their contributions. This renewal is not at all confined to countries that have a federalist tradition. Countries have long had to struggle with the simple truth that geography is rarely synonymous with automatic homogeneity. Ethnic, linguistic, racial and religious conflicts have become the dominant issue facing the world order today. Wars after 1945 have been as much within countries as between them, with disastrous consequences for peace and security. It is no longer soldiers dying in the millions but civilians. From Rwanda to Cambodia, from the Balkans to East Timor the battleground is within countries that are unable to resolve the conflicts of what Michael Ignatieff has called ‘ blood and belonging’. It is in this context that the federal idea is re-emerging. Indeed, issues of federal governence are at the centre of active political and legal discussions in every part of the globe, particularly in areas where conflict resolution is a critical necessity. National sovereignty is not dead and the age of the nation – state is not over. But the notion that these are exclusive or all defining is clearly outmoded. Governance practices within countries are inevitably subject to the scrunity of world political and economic opinion, and most important, to the rule of law itself. This then is what the federal idea is all about. Whatever the misgivings about the “F – word” in Sri Lankan politics dilly – dallying over a political accceptable settlement is a luxury we cannot afford. Drowning people will clutch even at straws to save themselves. Sri Lanka is submerging in an unnecessary and brutal war. The Oslo agreement provided a lifeline in the commitment to explore the federal idea.. Why not grab it?